A jacket with the authenticity and attitude of L.A.'s UNDEFEATED. Established in 2002 in Los Angeles, UNDEFEATED is one of the best-known names in streetwear today. This collection merges adidas' cutting-edge technologies with the ethos of tactical wear. 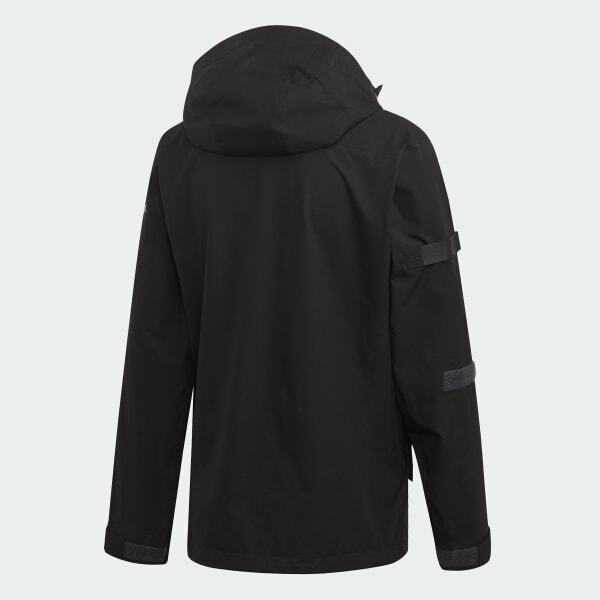 This GORE-TEX jacket helps you stay dry in adverse conditions. Lightweight GORE-TEX material sheds water while remaining breathable.